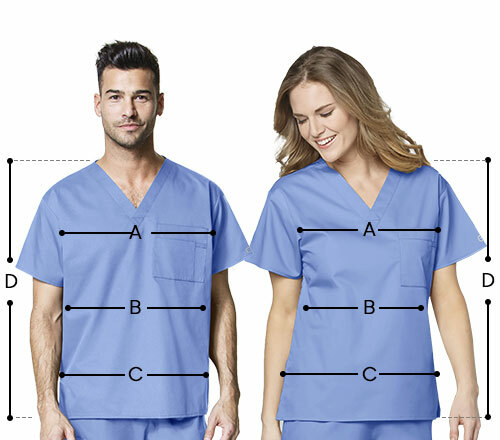 Add up the fun element that has been missing from your attire by wearing the Mock wrap scrub top by WonderWink. Available in a variety of colors and a flattering mock wrap detail, the scrub top is a fun way to make a style statement at work. 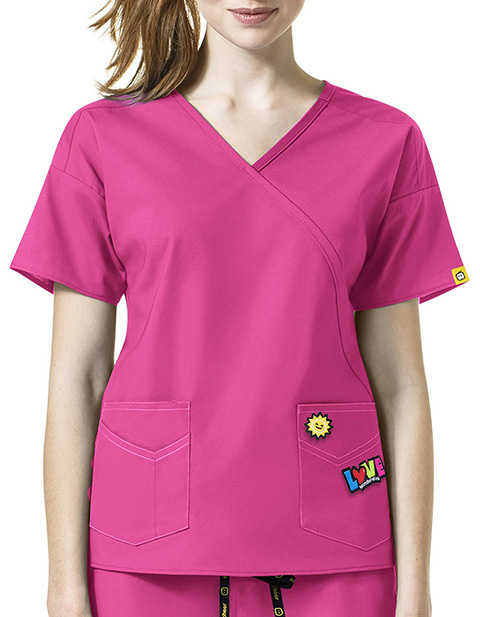 Design details include two lower top loading pockets with contrast stitching, including cell pocket and pen slot for maximum storage, two removable button patches and poly/cotton/spandex fabrication or durability and comfort.